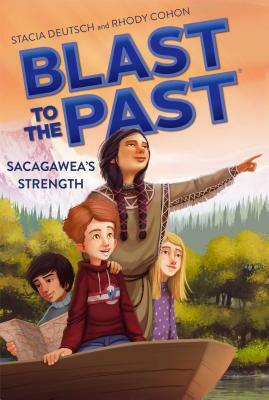 The Blast to the Past friends meet Sacagawea—and they’ve got to work fast if they’re going to succeed in keeping history on course. Abigail and her friends are in the middle of a Monday afternoon group project when Mr. Caruthers tells them it’s time to jump back to the past. They’re going to meet Sacagawea, and this time things are more complicated than ever! How can the kids convince Sacagawea not to give up on her dream when they don’t even know what her dream is? Sure, they know that she helped explorers Lewis and Clark map a route leading out West …but that’s about it. Abigail, Bo, Zack, and Jacob better find out fast—because the clock is ticking!